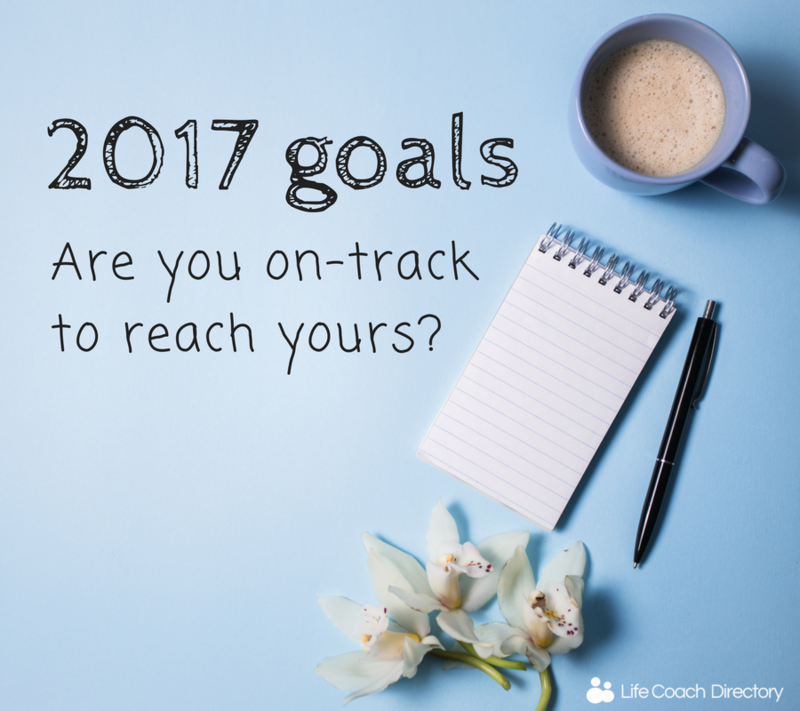 Are you still on-track to reach your goals for this year? Believe it or not, we’re nearing the halfway point of the year (is it just us or have the last six months flown by?). If nothing else, it’s got us thinking a lot about our goals for the year. Whether you set resolutions in January that you’ve been trying to stick to, or you ditched the resolutions instead for more of an intention-setting vibe, it’s time to take stock on the year so far. We asked the team here at Life Coach Directory about their goals for 2017, to find out whether or not they are on-track to achieve them. I set myself a goal of sticking to the gym. Looking back, I’m surprised I’ve actually stuck to it! I go to the gym between three and five times a week, have tried a few different classes and mixed up my routine! I can now do (almost) three full sets of 10 press ups – at the start of the year, I could barely do one! For the next six months, I want to focus on my diet – while I eat healthily 80% of the time, it’s been a busy year and I tend to get lazy with cooking! I would also like to do some extra studying. Back in 2016, I wanted to improve my knowledge in nutrition and was looking into a part-time course. I feel super anxious about driving new routes or going somewhere I don’t know really well and this year I really wanted to make a start on tackling this. So far, I have (sadly) not done anything on this and have found myself stuck in my routines more than ever and am even avoiding driving… which is making my anxiety worse. I think the reason I’ve not made any progress is that quite a lot has gone on in the last six months and I’ve felt overwhelmed at times, and adding anxiety to this by forcing myself to drive new routes seemed more hassle than it was worth at the time. I hope when other areas of my life settle, I’ll make more effort! This was quite an ambitious one for me, but I was desperate to make time to read again. Only recently have I actually put this into motion by introducing a nightly ‘switch-off’ alarm in the evening. When this goes off I switch off all my electronic devices and read before bed. I’m not quite reading one book per month, but I am certainly reading more! It was all about finding a routine that worked. I set myself the goal of getting out with my camera again and getting back into photography in general. It’s been a great excuse to get out and about more – discovered lots of places locally that I didn’t know of before! Only slight downside is my “gear acquisition syndrome” is back in full force. In January I set myself two health and fitness related goals, with the aim of getting fitter and also building my confidence. This was a bad habit that I’d slipped into in a previous job; I decided I wanted to start eating more nourishing foods to help complement my exercise routine, so breakfast was a good place to start. I have stuck to this completely and now make sure I have breakfast prepared for every day. This was to help me try a wider variety of exercise and push me outside of my comfort zone – both socially, and physically! I think, in hindsight, this was probably a little ambitious – as there are a lot of classes at my gym, but I have made an effort to try 4 new classes, including 2 spin classes (I was scared to step into a spinning studio in January, but now I go weekly!). I have also since felt confident enough to go to two health and fitness events, which were amazing! What goals did you set yourself this year? Are you on-track to reach them? Let us know in the comments below!